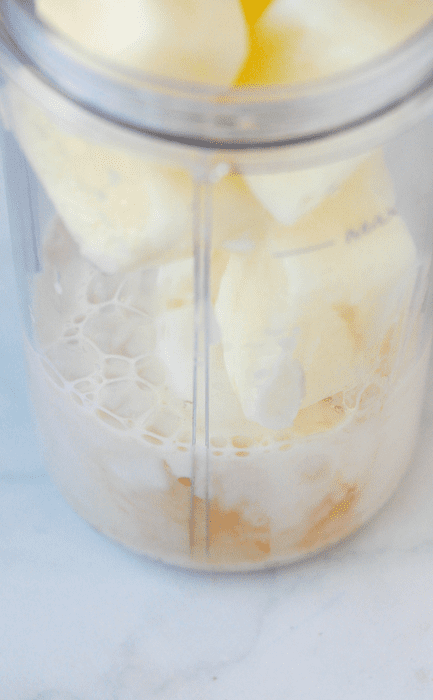 To begin, you’ll want to prep some milk ice cubes a few hours in advance (or overnight). To do this, just fill an ice cube tray with milk and place into the freezer. 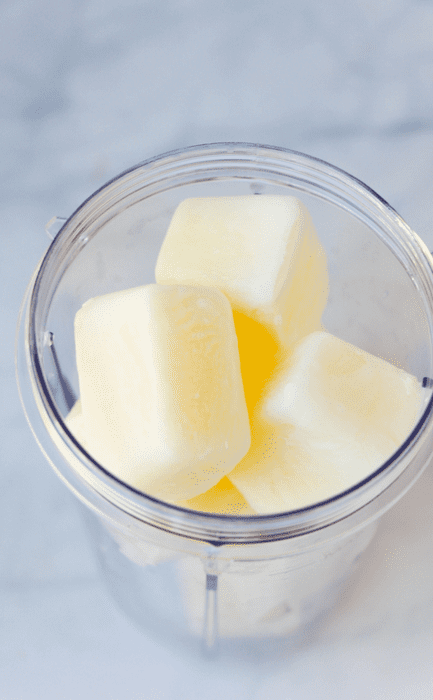 When your milk cubes are ready, place them into a high-powered smoothie blender. Add some vanilla extract to the cubes. Then pour about 1/2 cup of milk and the sweetener of your choice over the mixture. We use stevia or Trim Healthy Mama’s Gentle Sweet at our house, but regular sugar works just fine too. 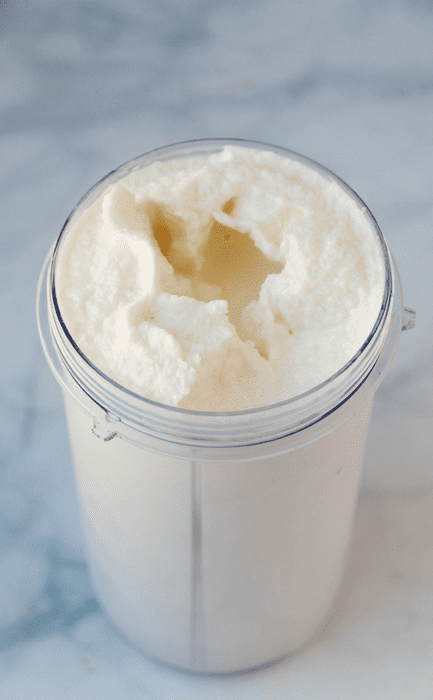 If you don’t have a high-powered smoothie blender, you can make this in a regular blender, adding extra milk if needed to get the blades to turn. The end result may be a little less thick, but still tasty. 2 hours (or the night) before you want to enjoy your frappe, fill a ice cube tray with milk and freeze. 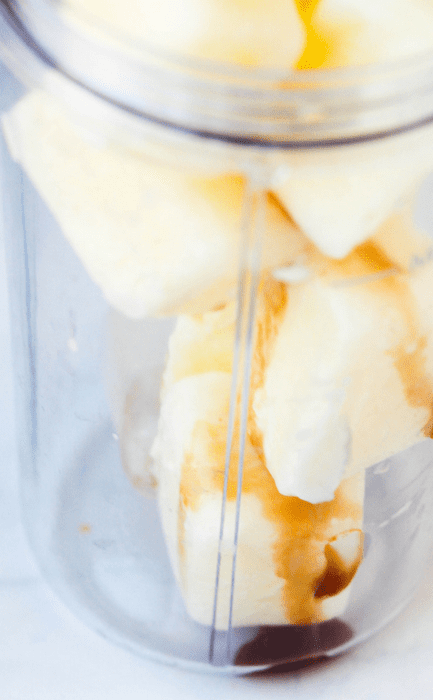 Place the milk cubes, 1/2 cup of milk, vanilla extract and sugar in a high-powered smoothie blender. Puree until all cubes are broken down into a smooth milkshake-like consistency. Pour into your serving glass and garnish as desired. Enjoy immediately. ***If you don't have time to prepare milk cubes, use regular ice cubes for a slightly less creamy result. 2 scoops of ice cream or frozen yogurt also work great for a more indulgent treat. 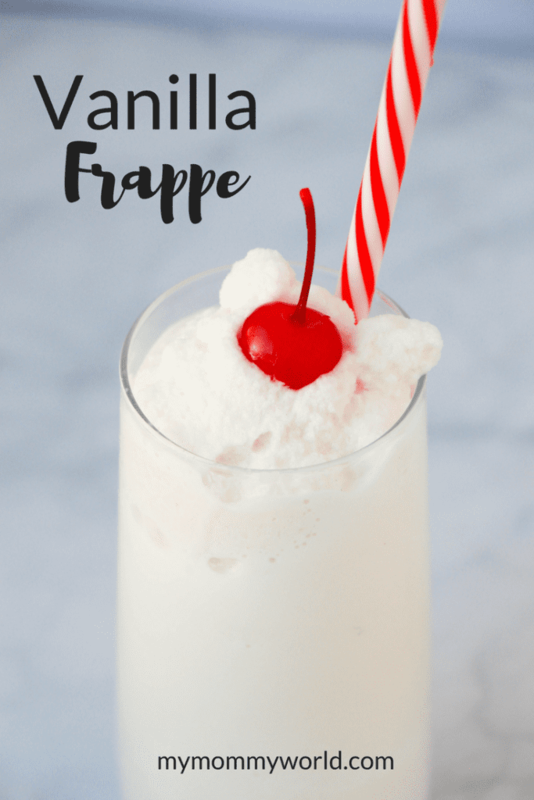 Hope you enjoy making this Vanilla Frappe! Looks so cool and yummy. 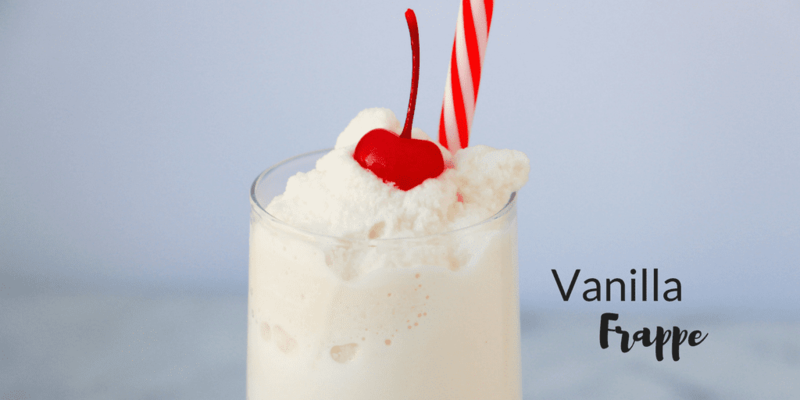 It’s hot today at our house and this would be a yummy way to cool down. Thanks for sharing the recipe. Thanks so much for stopping by Jenny! I would love your Vanilla Frappe! Hope you are having a great week and thanks so much for sharing with us at Full Plate Thursday!